Someone from Amazon posted an update on the Amazon Device forum on Monday to the “Oops! Something went wrong” error message problem for FreeTime. Note that this is NOT a permanent fix, but is meant to allow people to use their tablets while Amazon is working on the fix. More to come on this story! Surprise! Today, Amazon released a new Kindle for Kids Bundle. 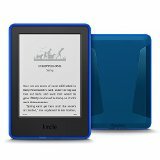 The bundle includes a Kindle (without ads), a 2-Year Accident Protection plan , and a Kid-Friendly Cover in choice of five colors. Purchasing the bundle saves $39.98 compared to when purchasing separately. Amazon is also promoting a special Summer Reading for children program. It is in stock and available for purchase now. Amazon already offers a Fire HD 6 Kids Edition tablet designed for children. This new bundle caught me by surprise. Generally, Amazon announces products and makes them available for pre-order first. Amazon is still tempting us to fill up our Kindles. Today,they are offering 20 popular fiction titles for $2.99 or less. Today’s offerings include the first four titles in Kendra Elliott’s Bone Secrets series. 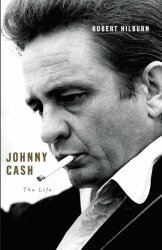 Also for $2.99 or less, there are 12 memoirs and biographies including titles on musical greats such as Aretha Franklin, Carlos Santana, Johnny Cash, and Mick Fleetwood. There are also recent titles such as I am Malala and Robin Roberts’ Everybody’s Got Something. Finally, for the kids daily deal, there are six Calvin and Hobbes books for only $1.99 each. You can see all of Amazon’s Daily Deals here. Barnes and Noble is still tempting us as well. There are 101 thriller NOOK books and 101 e-books for kids and teens, all on sale for $2.99 or less.